The homes of South Shore Drive have lake privileges for Lake Anne--and the owners use them! Ask anyone who lived in Reston in the 60s and 70s what the most "exclusive" neighborhood was, and they'll likely say South Shore Drive and Fairway. Why? Because each custom-designed single family home is beautiful, the streets are tree-lined, and you can float down to Lake Anne Plaza on your private boat. 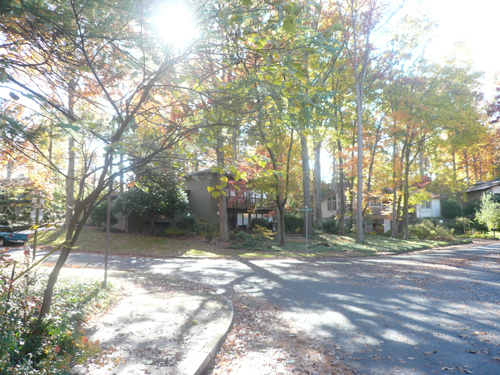 Almost 50 years later, it is still one of the most tranquil and idyllic neighborhoods in Reston. The variety of architecture makes it one of the most unique and the proximity to Lake Anne and the Town Center make one of the most desirable. The neighborhood consists of 3- to 4-bedroom homes built between 1965 and 1970. Most are Contemporary style with hardwood floors and plenty of windows (the better to gaze upon the lake). Fairway Drive is off Wiehle Avenue, between the two North Shore Drives (North Shore is a horseshoe, which can cause a little bit of confusion when giving directions). South Shore Drive sits on Lake Anne, and residents have private dock privileges--most take advantage of that with private boats that they take to concerts and events at Lake Anne Plaza. Children attend Lake Anne Elementary, Langston Hughes Middle and South Lakes High School. 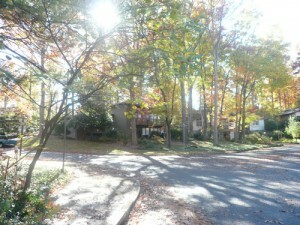 It's an easy walk to Lake Anne Plaza or Tall Oaks Village Center, and a quick hop over to Reston Town Center. South Shore and Fairway are also just minutes from the Toll Road the new Reston Metro Center. 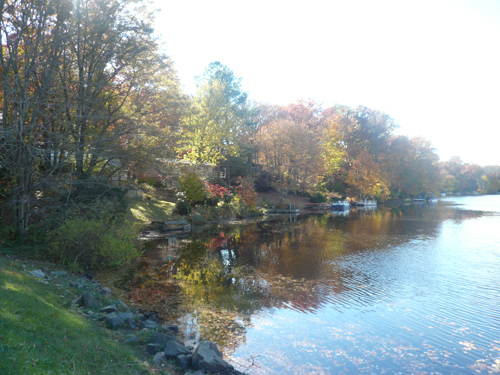 Autumn is a perfect time to take walk around Lake Anne, and to stop and admire this charming neighborhood!